Hi, I’m Matt Hamilton, and I have joined theiLife.com as a contributing writer. I am a first-year at Columbia University’s Fu Foundation College of Engineering, and I have been paying much attention for many years to first the Apple Corporation and later the new web start-up boom we currently find ourselves in. Mainly, I’ll focus on how new developments in both the Apple and overall technology sphere affect me and my colleagues here in New York City, but also general advancements and controversies in the technology and web industries. The first topic for me is how Apple and other technology products help out college students. To me, one of the best tests to determine whether a product is actually useful or necessary and fashionable is if college students use it, or really want it. Full article after the jump! We me the guys from the Polar Bear Farm on Monday night. They were coming out of the Moscone West while we were waiting on line. The next day, we paid them a visit, downloaded their software for the iPhone- which is awesome. We brought out the camera and asked them a couple questions about the software and the impending port for the SDK. As you might recall, I wrote a series of articles on major Macworld rumors in the week leading up to Macworld. You can review them here: MacBook, iTunes and iPhone. You’ve heard the story of our Macworld experience. You’ve heard about the new products. 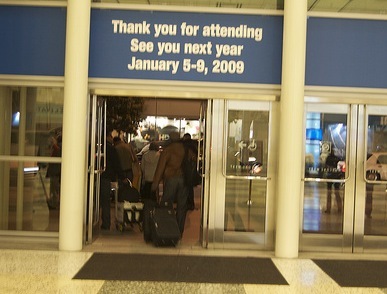 Our Macworld 2008 coverage is sadly coming to an end- its time to see how I scored with the rumors. I organized each rumor by a Verdict (brief explanation), What To Expect (actual prediction) and What is Possible (things that could happen). Now with the Keynote over, I’ll go back and grade myself. All new commentary in bold.